Is there Such a Thing as Legal Psychedelics? Home › Psychedelic Facts › Is there Such a Thing as Legal Psychedelics? There are a few psychedelic drugs which are legal, but that does not make them safe to use. Even though psychedelic drugs are extremely potent and highly dangerous, there are some alternatives to the well-known illegal hallucinogens. While these drugs may be legal, they can still cause many of the same issues that illegal psychedelics like LSD, PCP, and psychedelic mushrooms can cause. Salvia is a legal psychedelic. 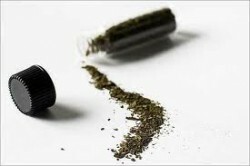 The plant can be vaporized, crushed, or dried in order to make powder. It can cause all the same intense hallucinations, nausea, chills, and other effects that most hallucinogenic drugs cause. In addition, salvia divinorum actually causes the heart rate to slow instead of increase the way most psychedelics do. Even more concerning, there has not been much research as to the long-term effects of the drug, and its potential for causing addiction, hallucinogen persisting perception disorder (HPPD), dependence, or tolerance is largely unknown. According to the NIDA, “‘N-bomb’ refers to any of three closely related synthetic hallucinogens (25I-NBOMe, 25C-NBOMe, and 25B-NBOMe) that are being sold as legal substitutes for LSD or mescaline.” These drugs are often referred to as legal acid and can be powdered, liquid, or found in a blotter like LSD. These substances, according to the NIDA, may be even more dangerous than LSD and can cause extreme side effects. “Small amounts can cause seizures, heart attack or arrested breathing, and death.” They also cause the same hallucinatory effects as well as intense feelings of anxiety and depression. At least 19 deaths between 2012 and 2014 were reported as being caused by N-bomb drugs. While legal psychedelics do exist in some form or another, this does not mean they can be taken in a manner that is either safe or rewarding. While they may cause the same effects a recreational user looks for in psychedelic drugs, their legal status does not make them a safer or better substitute. Some psychedelics, including MDMA and PCP, can cause addiction over time as well as toxic psychosis. These drugs are nearly all Schedule I or II for a reason, but the few that are unscheduled or legal can also cause many of the same harmful effects. All drugs of this class cause intense psychological effects and often physical ones as well, which is why, even though some of them are legal, that does not mean they can be considered completely safe.